Incentive travel budget doubled in size....CEO reaction will surprise you! Times are still tough and incentive budgets are under that microscope for sure. I have had my fair share (maybe more) of interactions with purchasing managers and many CFO's that get involved early and often in incentive budget discussions. Their goal, make this budget be as low as possible but deliver a highly positive experience. Right. I have managed to not only get past these types of meetings, where you have to come armed with ideas on how to "save money" in fear of losing the business, but I have actually created cheerleaders from both purchasing and CFO's for incentive budgets. One such experience included an incentive travel program that had a budget of $600K in 2009. The request was to produce a program that would "not appear to be less in value, but needs to be below our budget of $375K for 2010". That incentive travel budget, after a business case analysis was conducted and presented to the Executive Team, was projected to be $1.6 Million, "in order to move your business to the next level". Not only did I get this budget approved, I gained complete support from the CFO in doing so. The CEO, after the results were in (they exceeded next level results), ordered a company-wide (over 600 employees) celebration that included a video broadcast of the sales team, from their incentive travel destination, telling those employees how much they appreciated being able to exceed sales and margin objectives "due to your support". The presentation concluded with the Senior Vice President telling the employees, "No, we can't all be on that trip, but we are all celebrating growth in our business while our competition is meeting to try and figure out who to lay-off". Best year yet and more to come. Not Your Grandmothers Ft. Lauderdale! 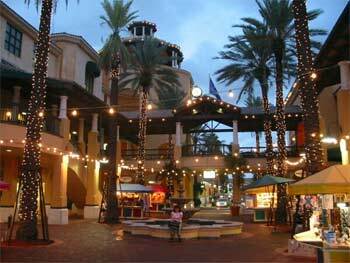 I had not spent any real time in Ft. Lauderdale in over 5 years, and the last time I stayed there was probably 15 years ago. So when they asked me to come down and take a look, I have to admit I was not really sure it would be a destination that I would ever want to recommend, especially during spring break. Boy was I pleasantly surprised! With 23 miles of beach that is in pristine condition, I had to erase those memories of young college kids drinking and partying into oblivion until all hours of the night. That is not to say you can’t find action in one of the 123 nightclubs in town, but it is just a bit more “grown-up” then it once was. What I saw during “spring break” were adults and adults with children, and 4,122 restaurants filled with “normal” people just enjoying a little vacation. Who knew? 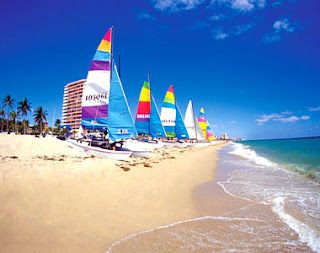 The new Ft. Lauderdale is a civilized South Beach without the price tag! Yet, there are over 45,000 resident yachts stretching along the many marinas and Inter-coastal waterways that cover over 300 miles. They call it the Venice of America for a reason. 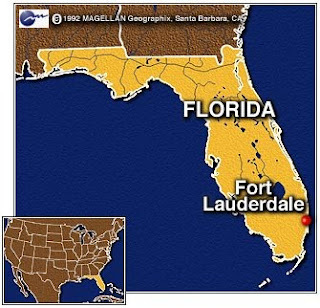 What does the Greater Fort Lauderdale Spring Breaker of today look like? There are apt to be chic couples in the mood for golf or luxury spas, opera, ballet or Broadway shows, and staying in luxury resorts like the W Fort Lauderdale, recently named the trendiest hotel in America. Or, they might be convention goers; the Greater Fort Lauderdale/Broward County Convention Center, celebrating its 20th anniversary, welcomes 580,000 attendees from around the world each year. Or they might be cruise passengers enjoying a mini-vacation before or after their voyage from the city's Port Everglades, one of the busiest cruise ports in the world. During my long weekend I was able to look at a number of surprising properties that are worth a visit, if not a stay. The W, as I mentioned previously, is really chic and fun; the Ritz Carlton, which started as a St. Regis, is truly upscale and beautiful – yet different in style from your typical Ritz. A real surprise was the Hilton on the Beach with their condo-style rooms, equipped with mini-kitchens that are very well appointed. The same holds true for the Doubletree which boasts a water taxi stop right out the back of the hotel on the Inter-coastal. (You can also book their yachts for a breakout session….now that is a unique meeting room!) The Westin is newly done and very warm and inviting. The real surprise on this visit was the B Ocean property – it truly has a WOW factor, and so unexpected! It was once a Holiday Inn, but you would never guess it. The meeting space is all floor to ceiling windows, and well, you just need to see it for yourself – it is hard to describe! I think the most surprising thing of all is that many of these properties are truly very affordable. You can have a South Beach type of experience for far less. To be honest, I always feel quite imperfect while strolling along South Beach with all the model types, Ft. Lauderdale is so much easier on the self esteem (although there are still plenty of pretty people among the beach goers). During my visit I also attended the Gulf Stream horse pre-derby event. Of course I arrived with Derby hat and outfit in tow! The race highlighted many horses that will be in the upcoming Kentucky Derby. One thing is for sure, I still have no talent when it comes to picking winning horses, but I sure know a winning destination when I see one! If you have not seen Ft. Lauderdale lately, you need to take a look.